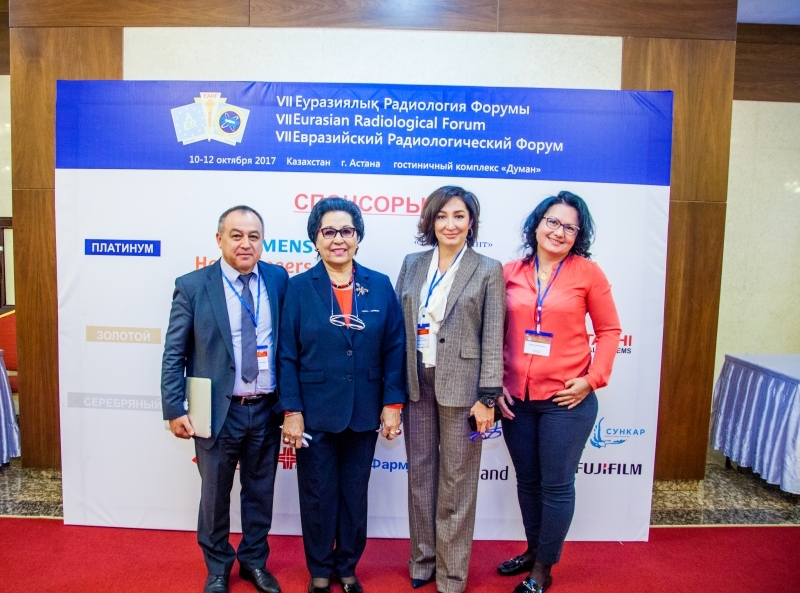 BG team provided medical simultaneous translators in Astana at the VII Eurasian Radiological Forum took place on October the 10th -12th , 2017. 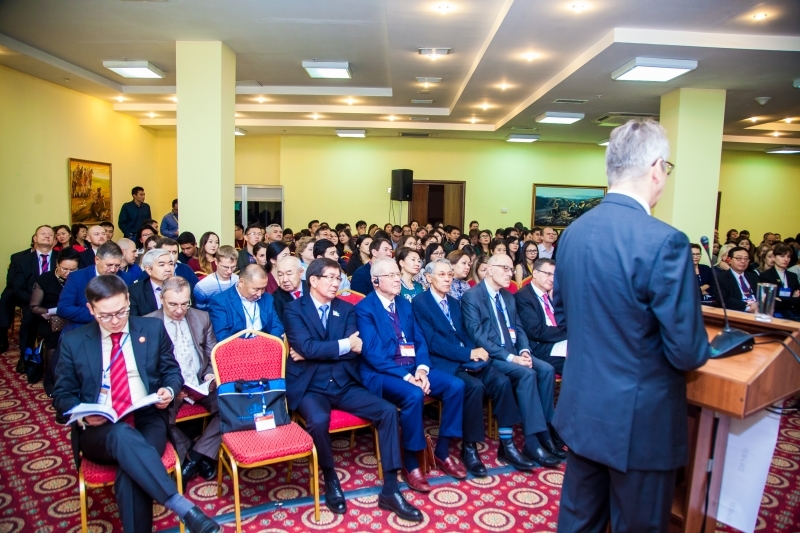 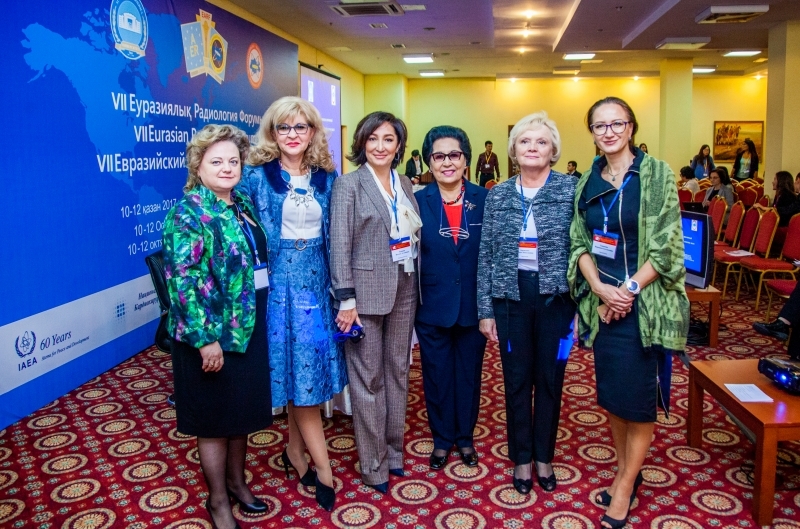 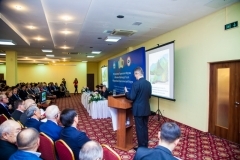 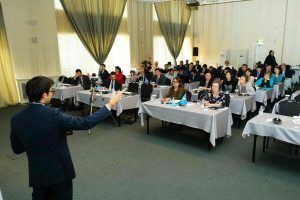 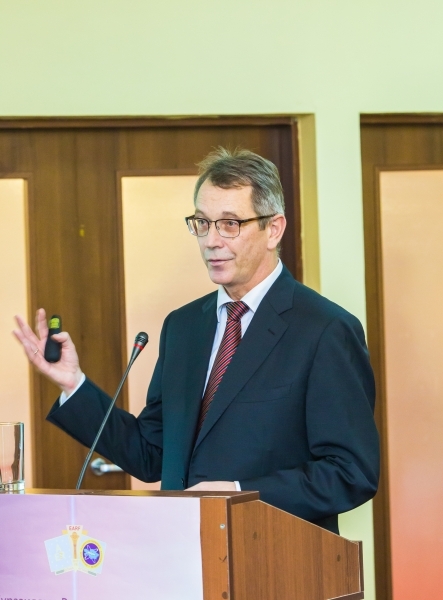 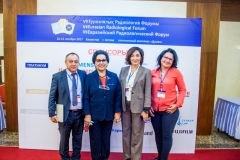 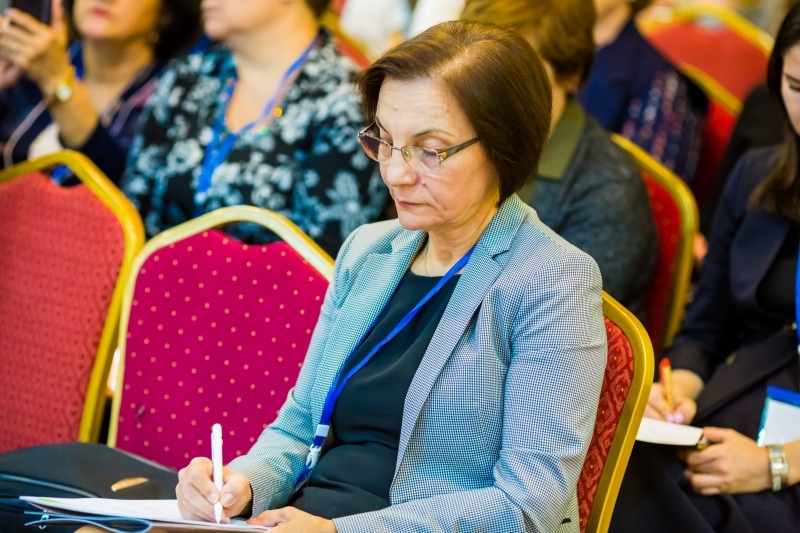 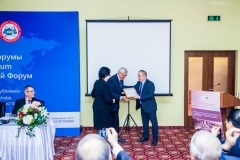 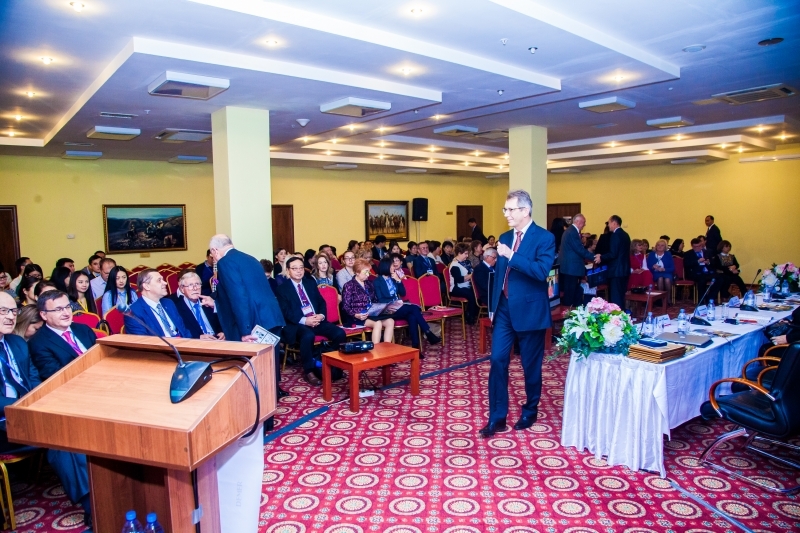 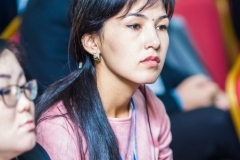 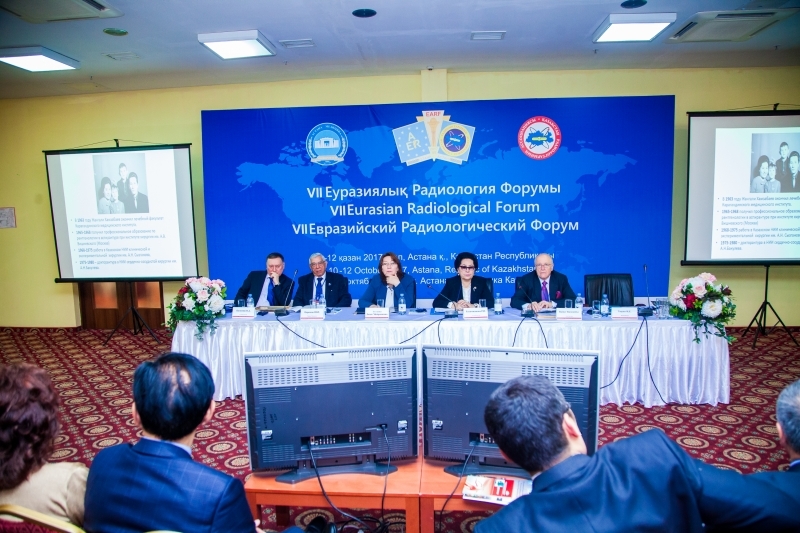 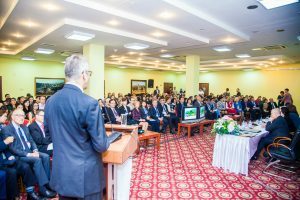 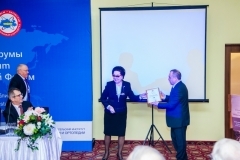 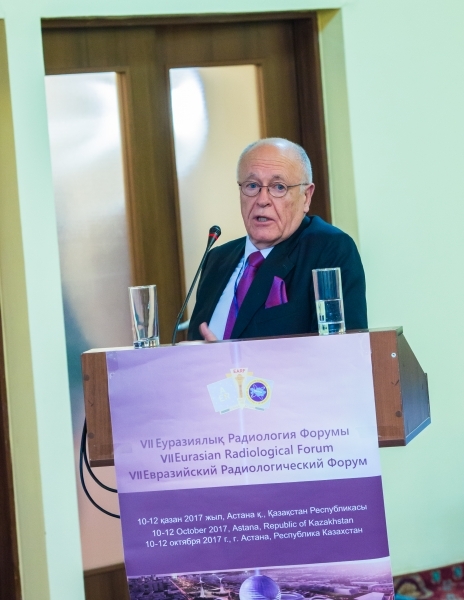 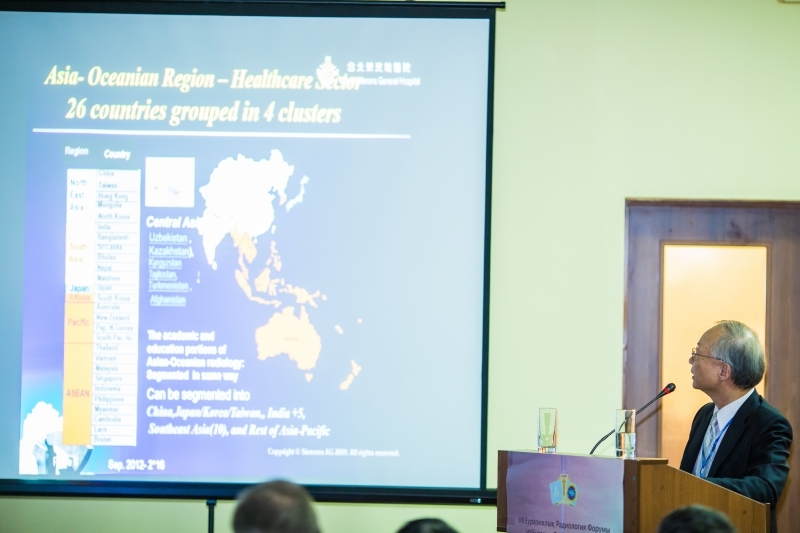 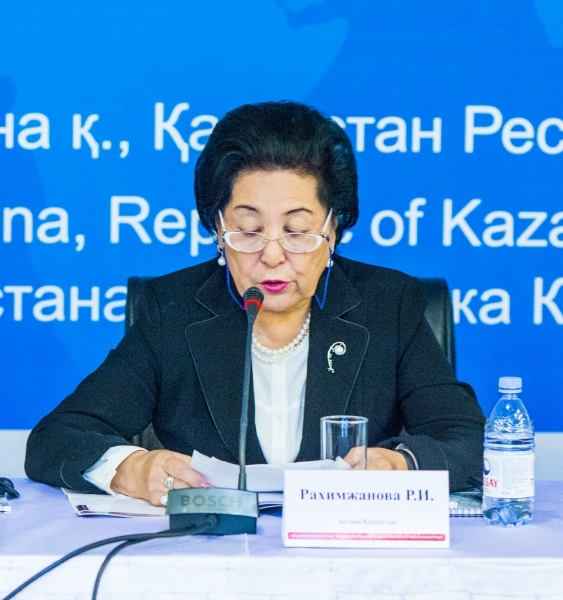 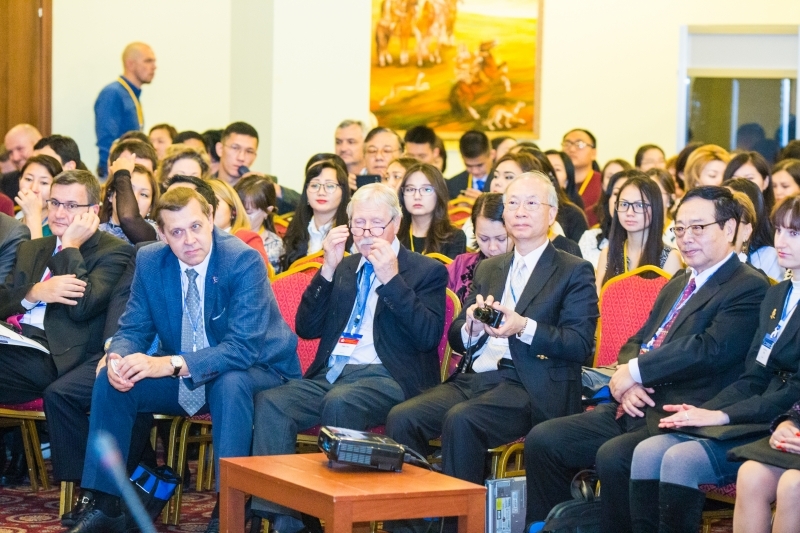 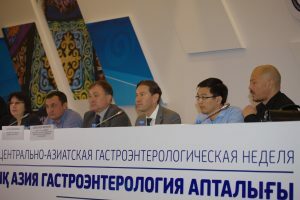 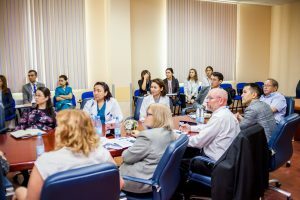 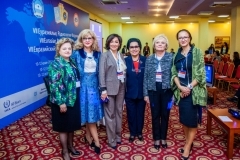 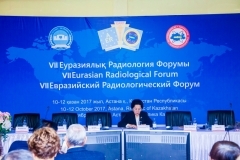 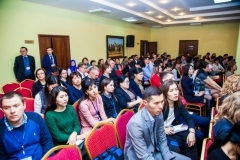 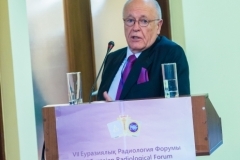 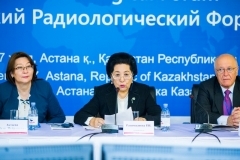 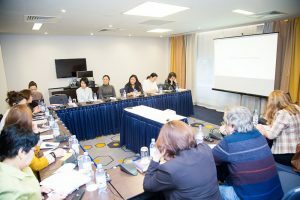 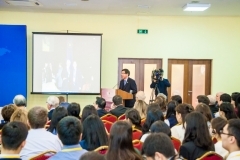 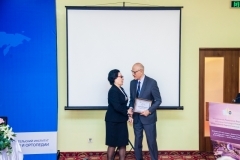 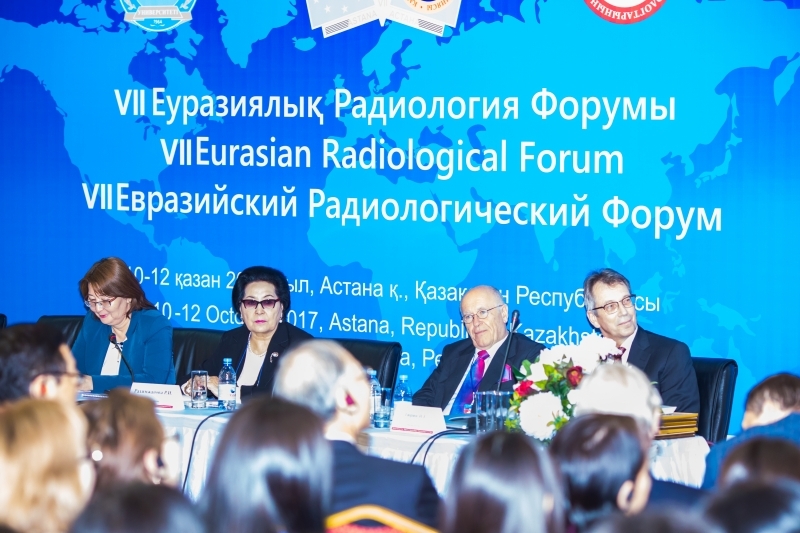 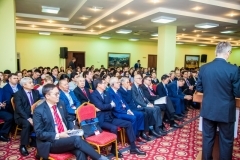 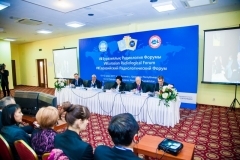 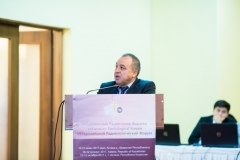 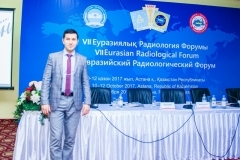 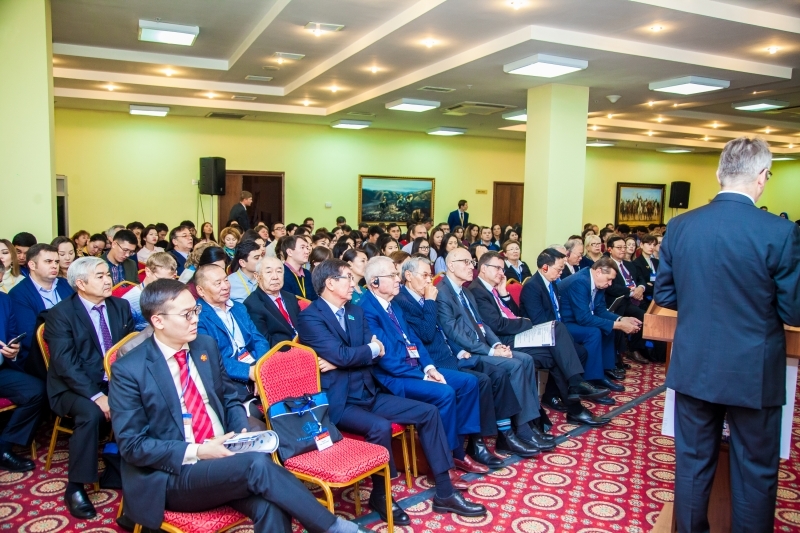 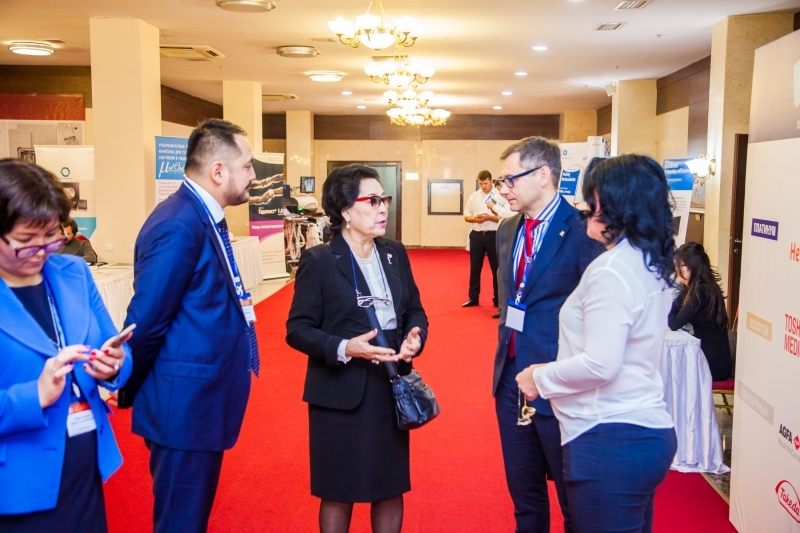 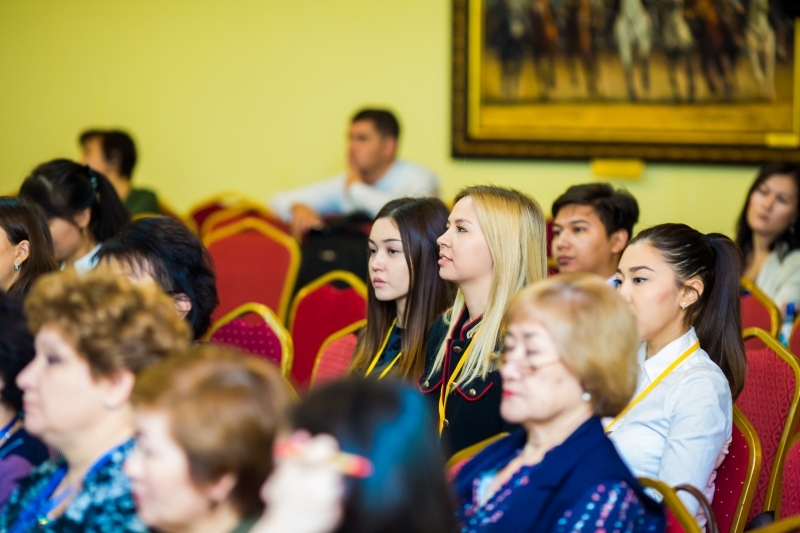 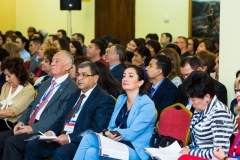 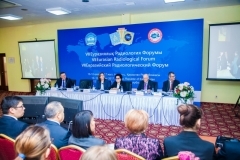 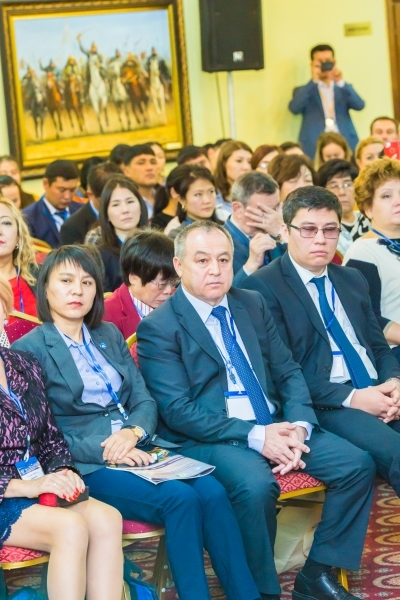 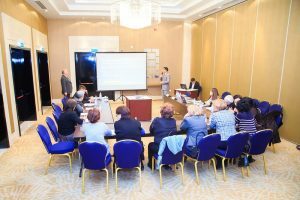 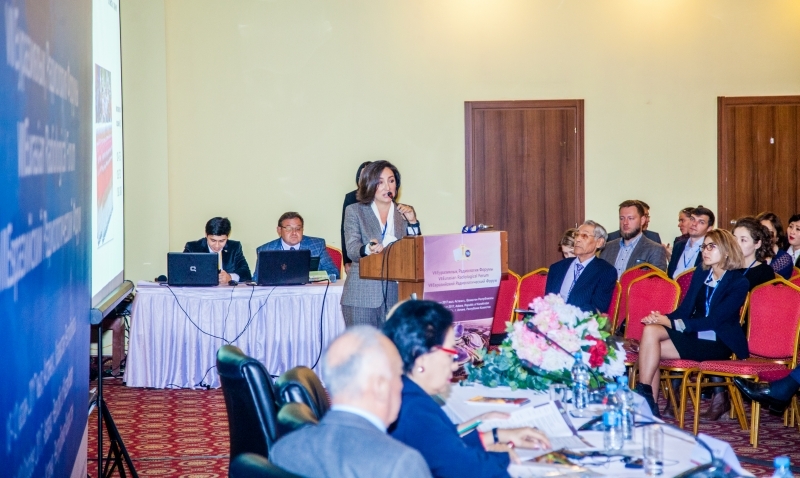 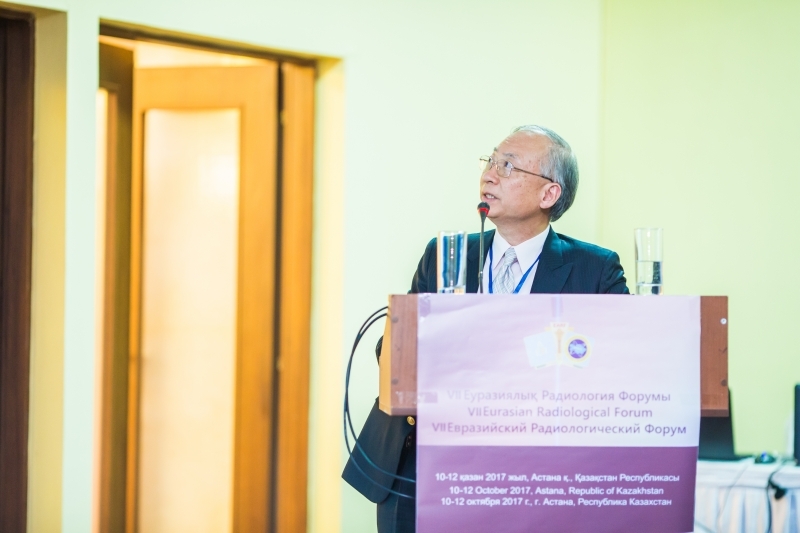 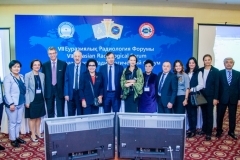 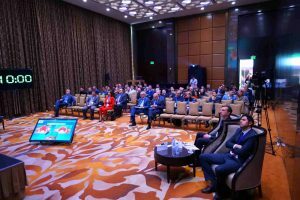 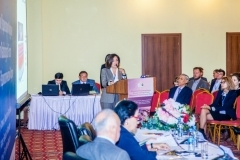 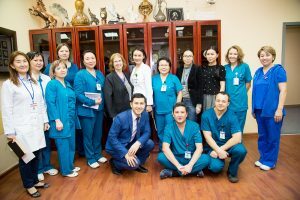 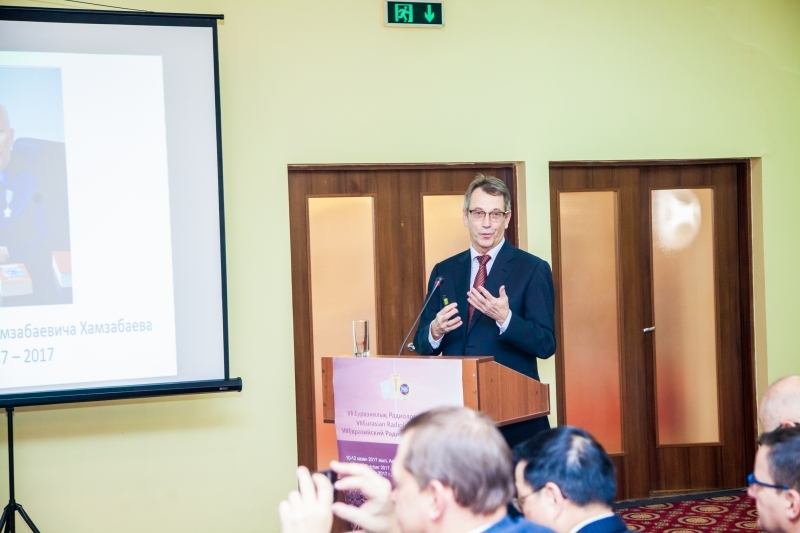 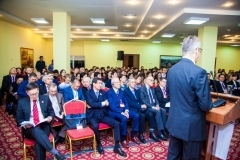 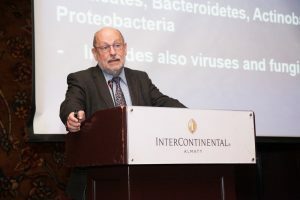 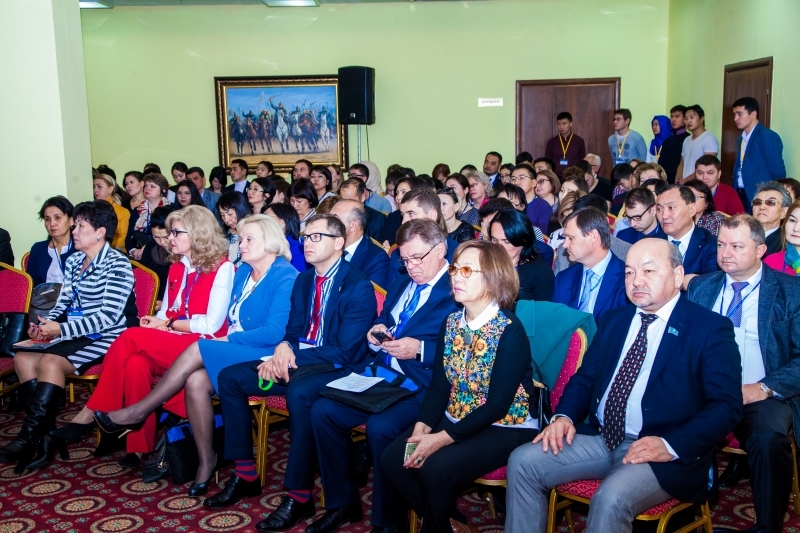 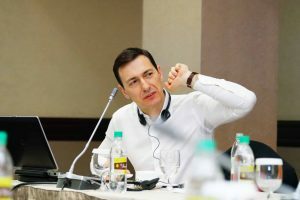 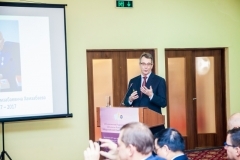 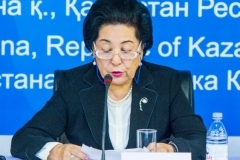 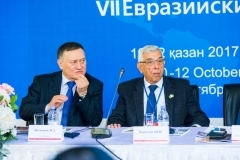 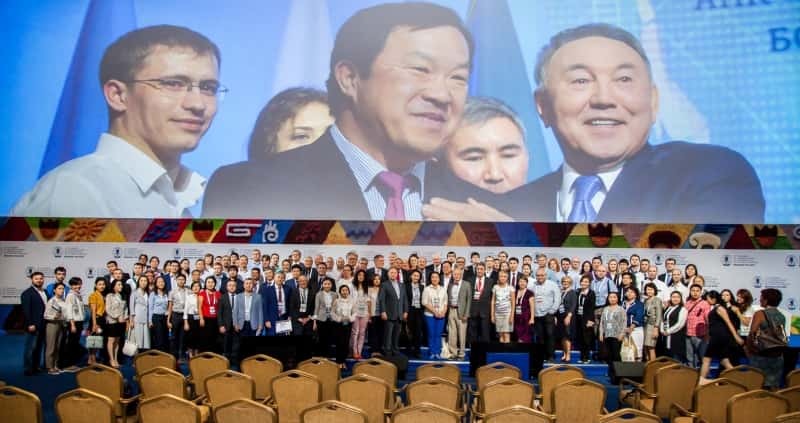 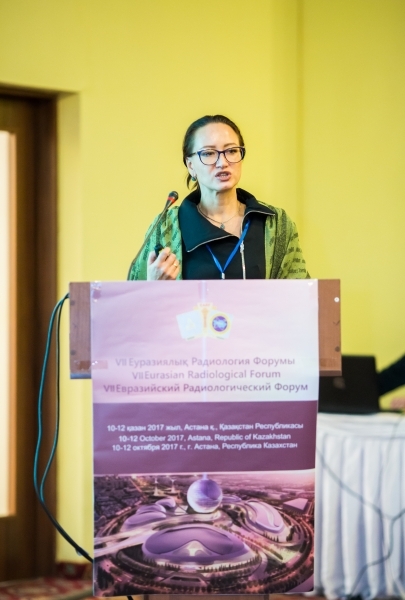 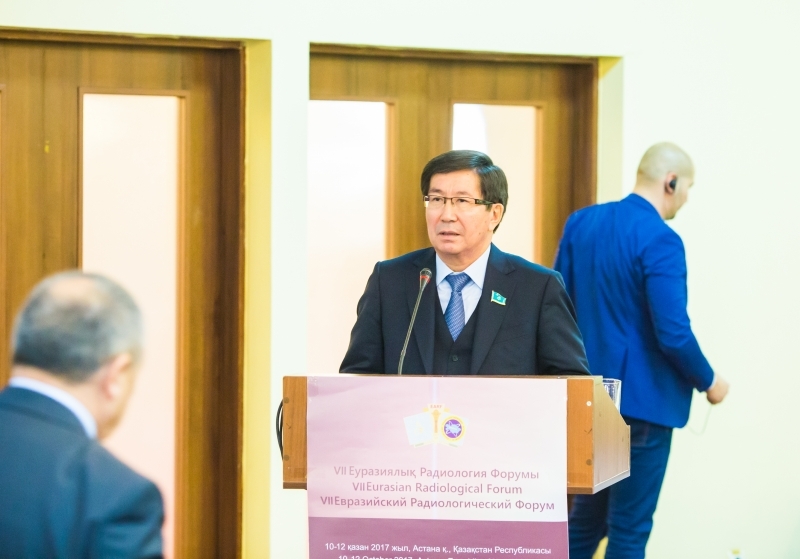 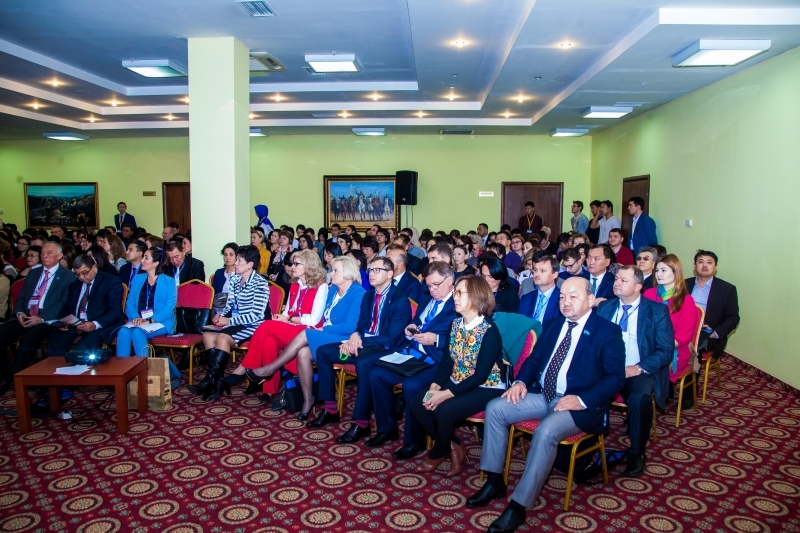 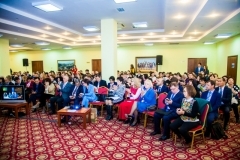 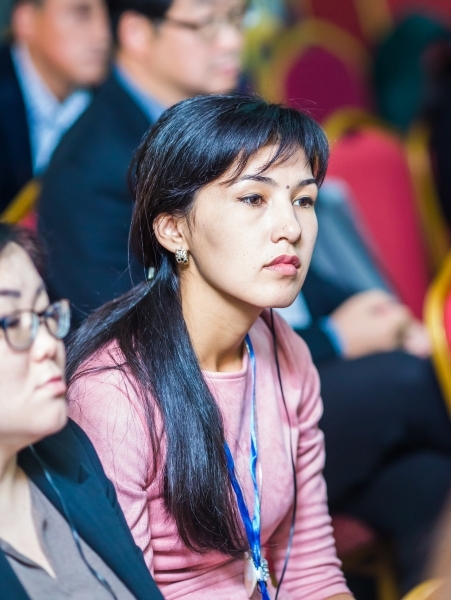 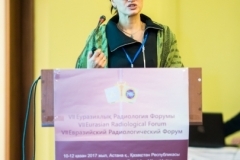 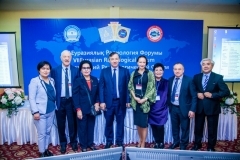 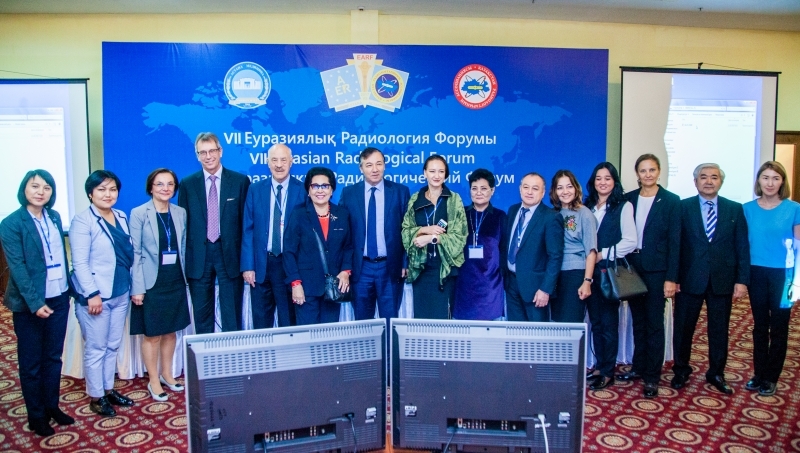 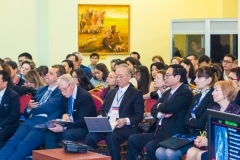 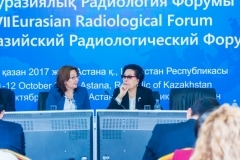 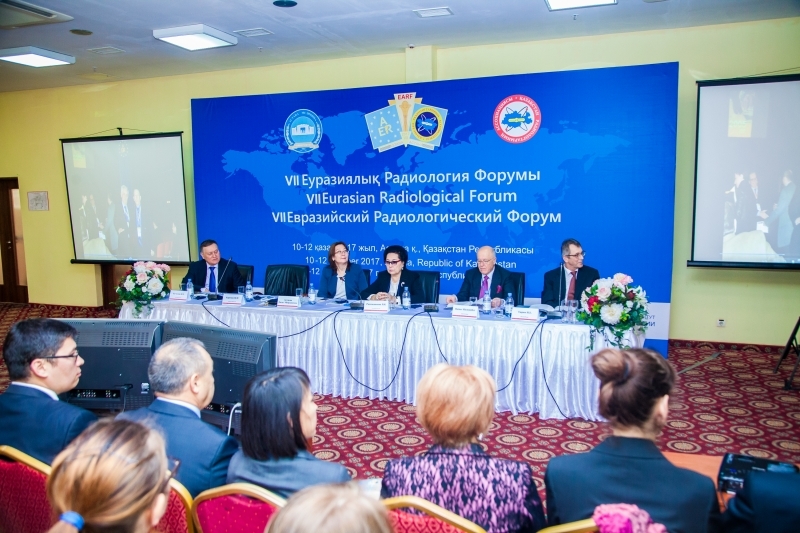 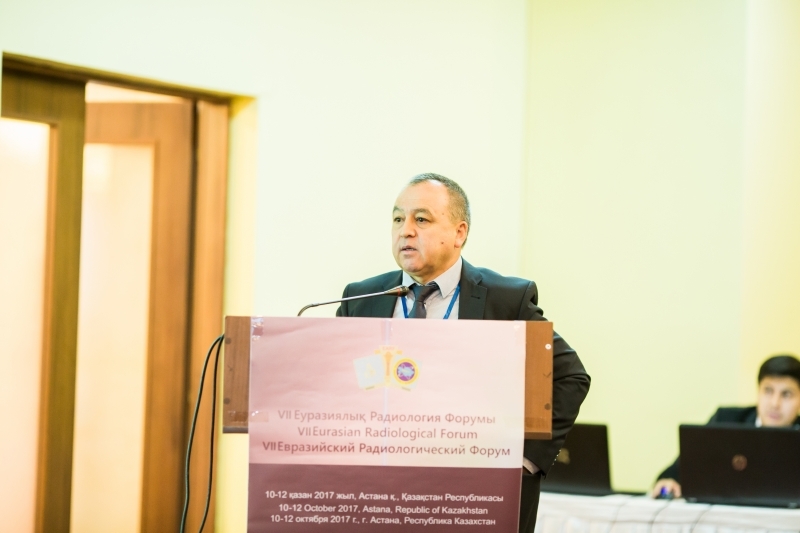 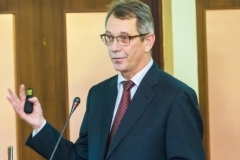 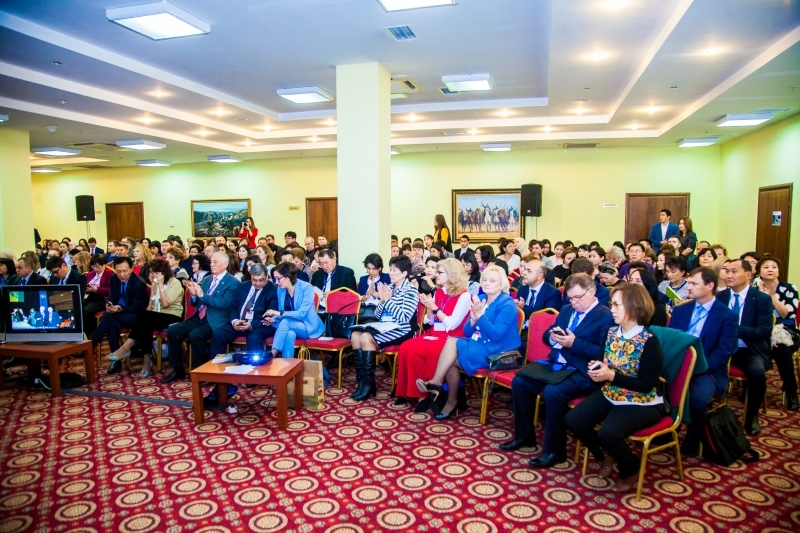 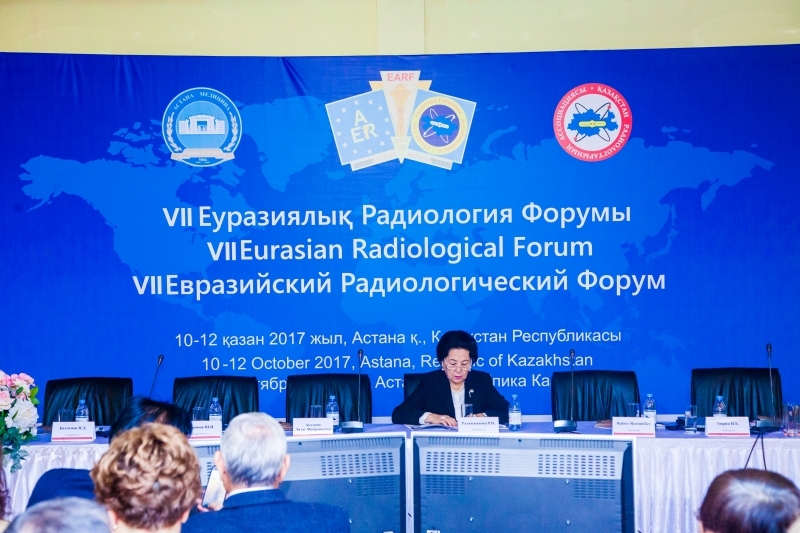 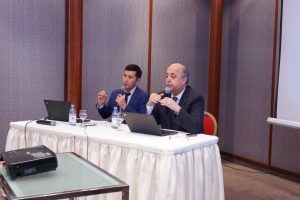 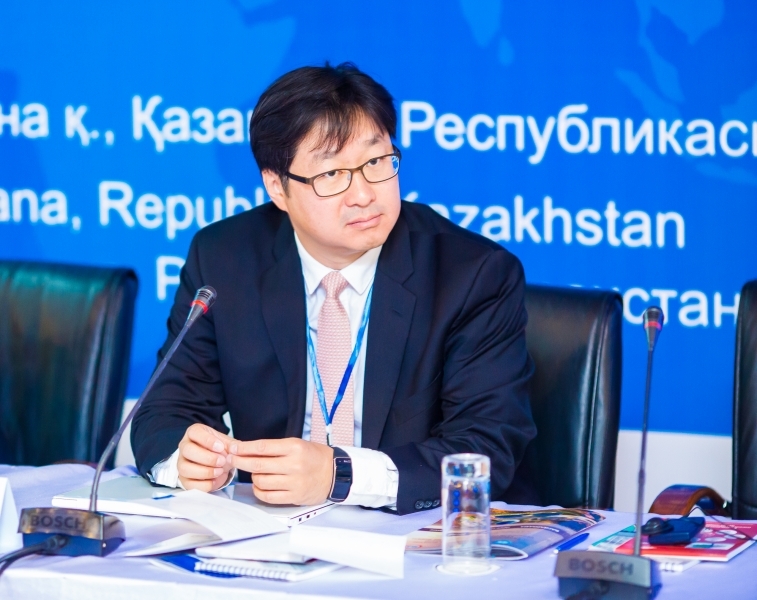 The primary objective of the forum was to discuss pressing issues of radiology, development of radiology and nuclear medicine services in Kazakhstan and new techniques in imaging diagnosis. 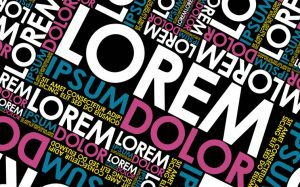 Specific attention was brought to enhancing effectiveness in diagnosing socially significant disease (cardiac and vascular abnormality, pulmonary tuberculosis, breast cancer, musculoskeletal diseases osteoporosis and radiation safety). 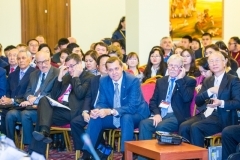 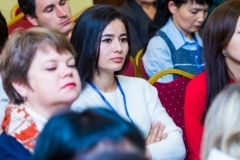 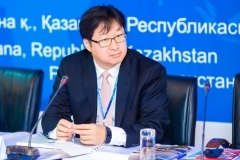 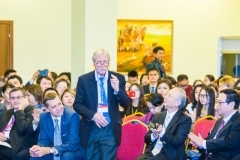 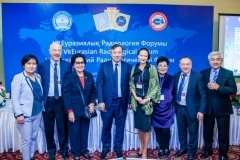 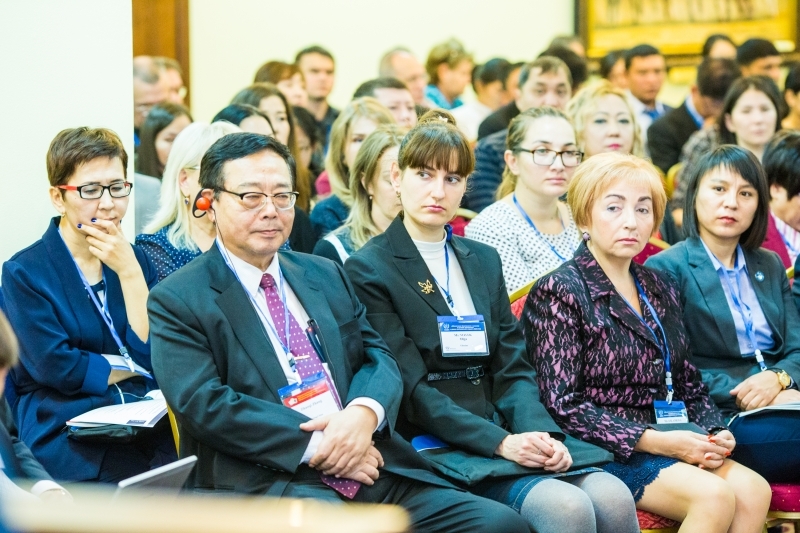 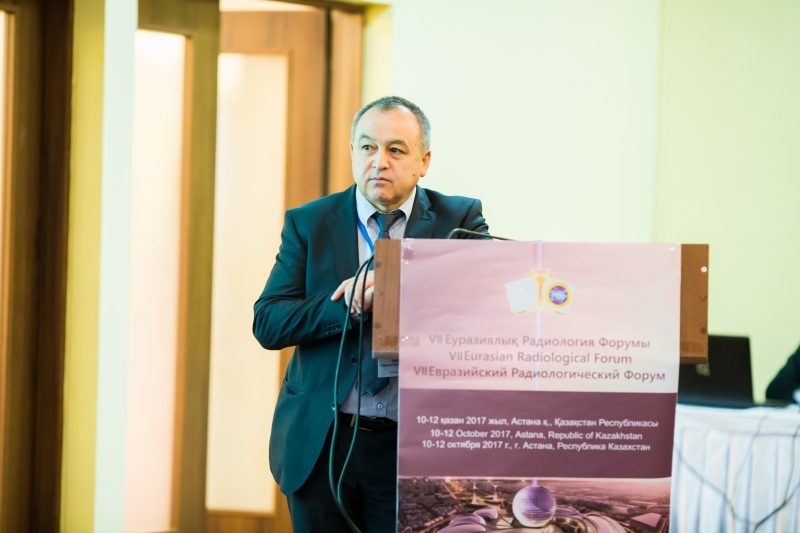 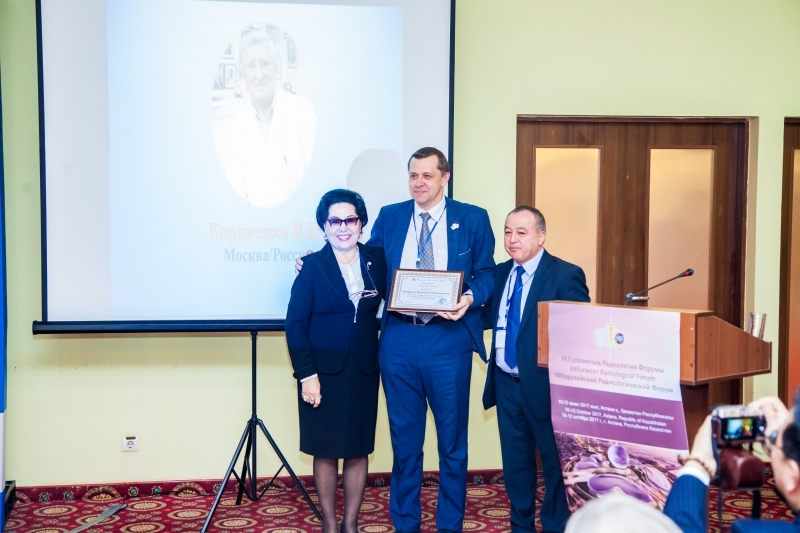 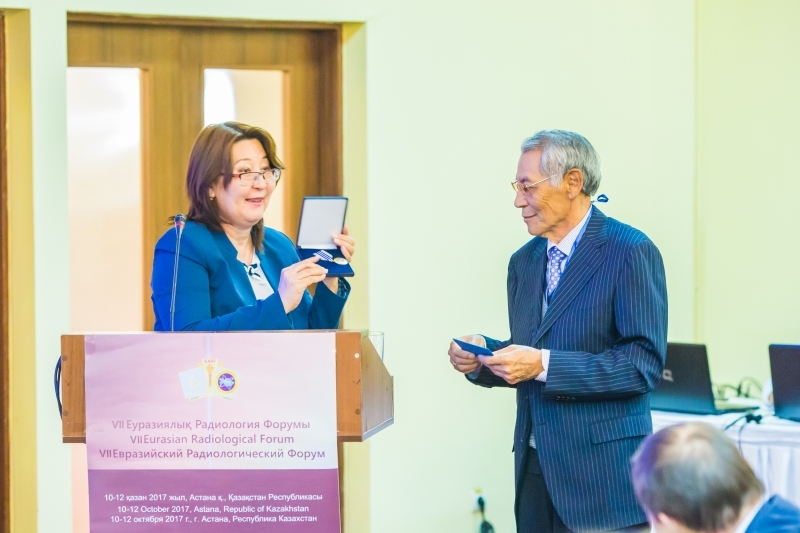 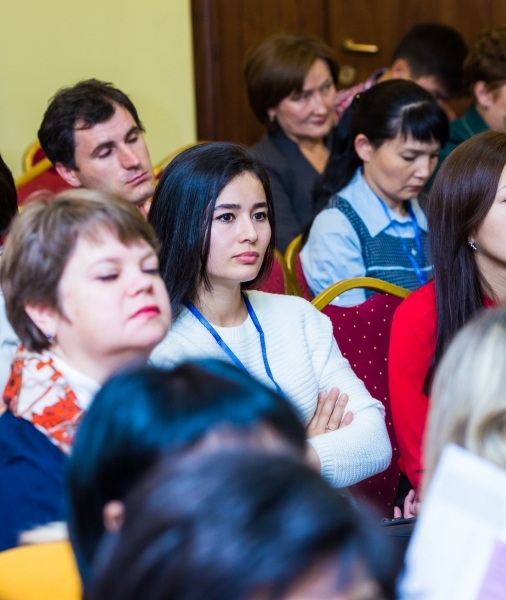 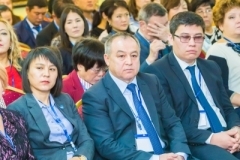 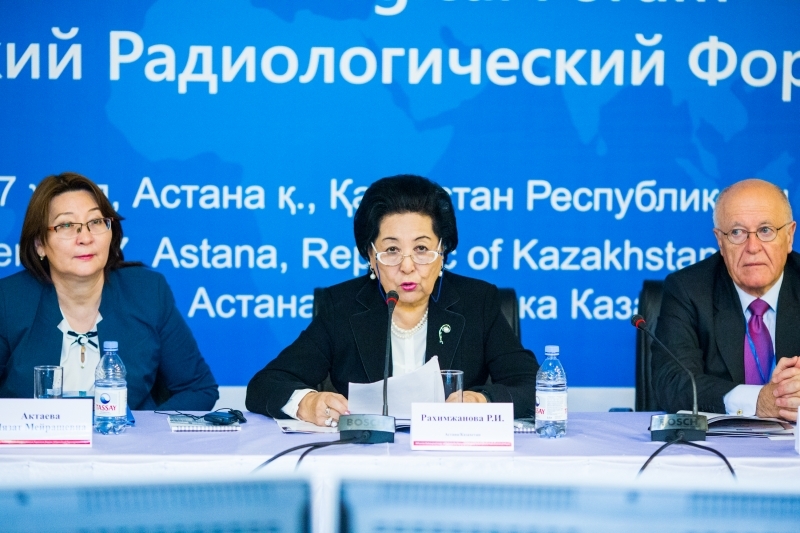 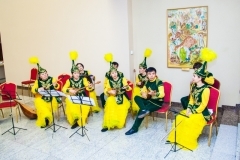 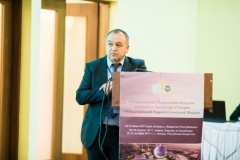 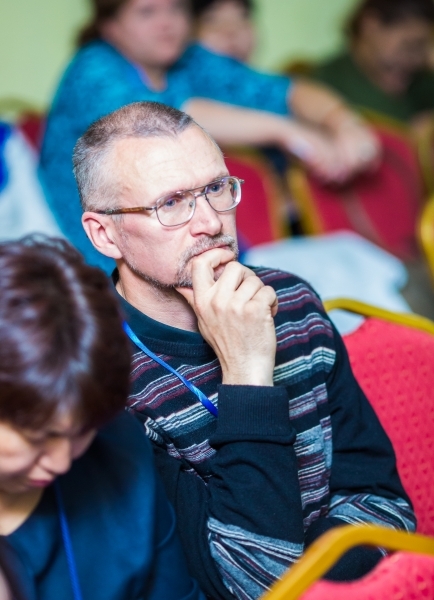 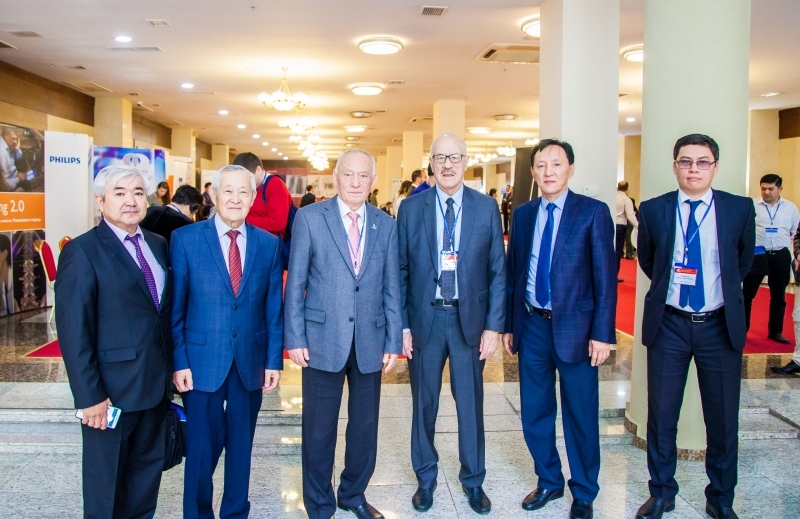 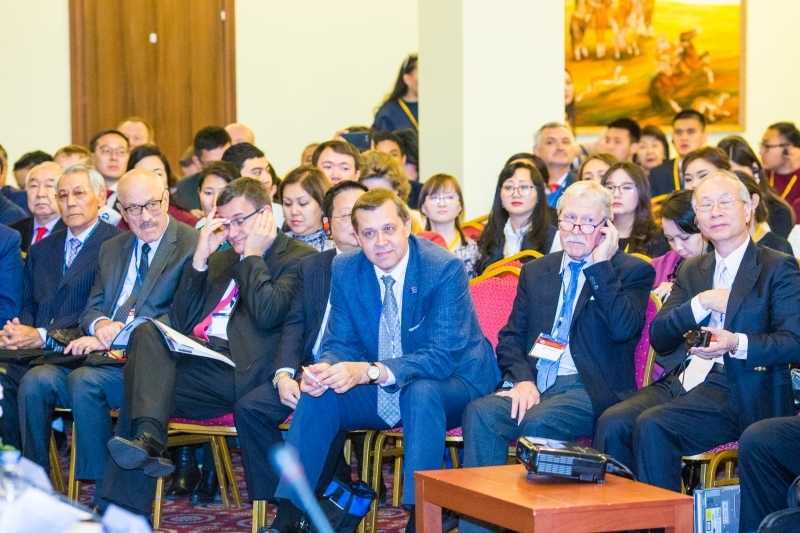 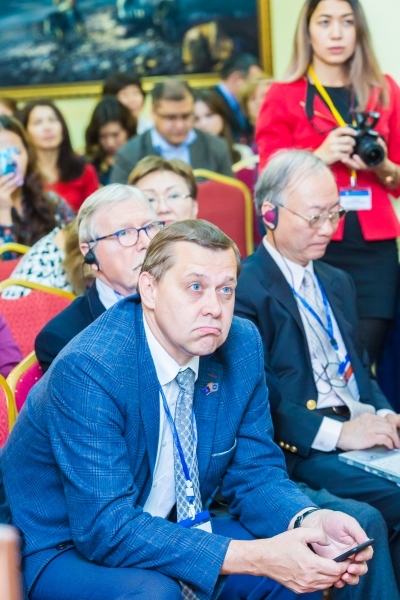 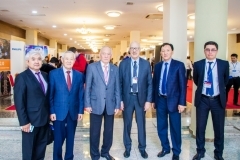 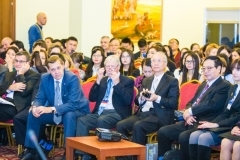 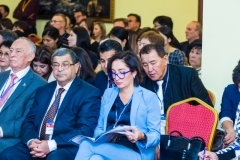 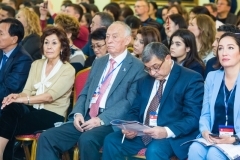 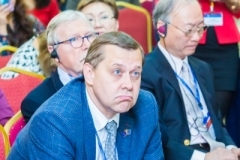 This forum was timed to coincide with the 80th anniversary of the legendary Kazakh academician Khamzabayev Zhangali Khamzabayevich and the 40th anniversary of the Kazakh Radiological Society. 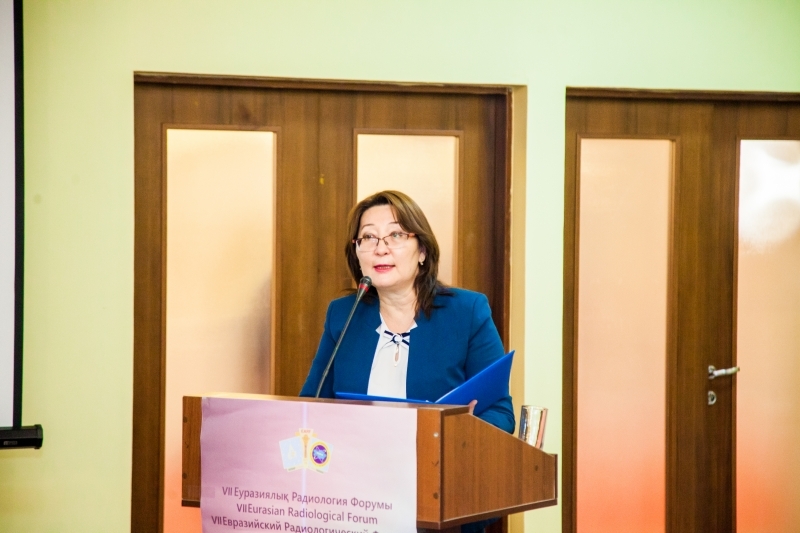 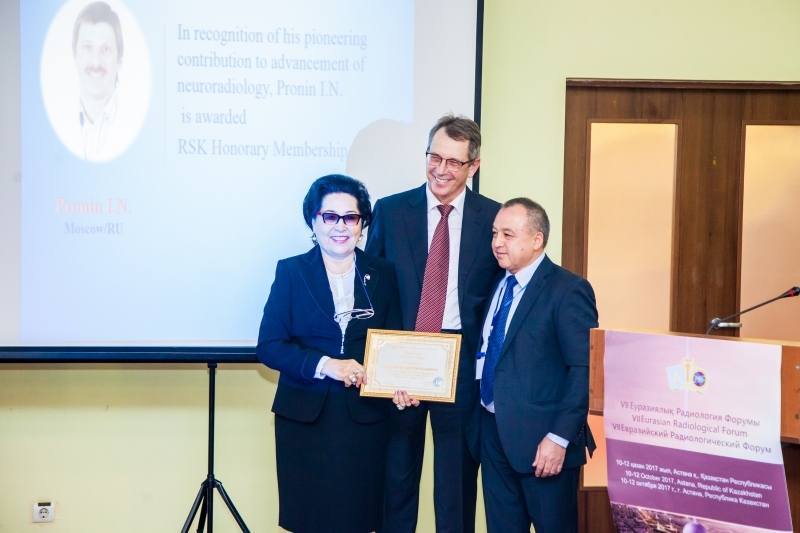 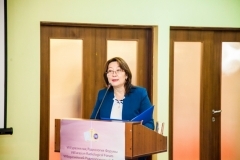 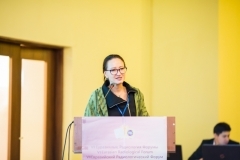 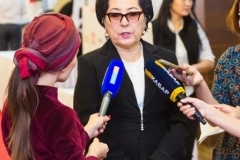 The event was marked with speech by the Vice-Minister of Health of the Republic of Kazakhstan Lyazzat Aktayeva, the President of the Kazakh Radiological Society Raushan Rakhimzhanova, the Senior Specialist in imaging diagnosis of the Ministry of Health of the Republic of Kazakhstan, the member of the European Society of Cardiology, the European Society of Radiology, member of the Radiological Society of North America, Vice-President of the European School of Radiologists in Astana Dautov Tairkhan Bekpolatovich as well as well-known radiologists from Korea, China, Austria, the Switzerland, Czech Republic, Turkey, Russia, and others. 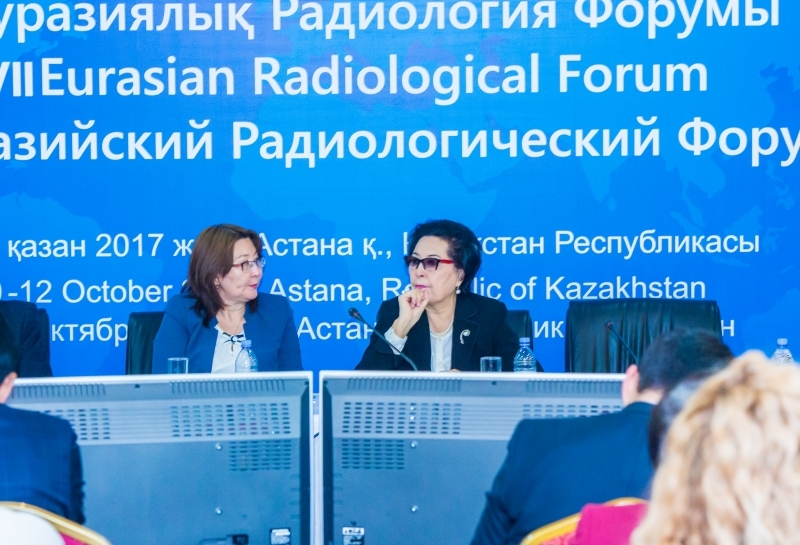 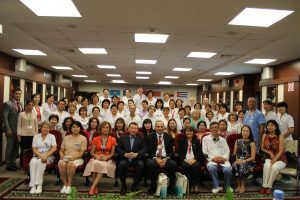 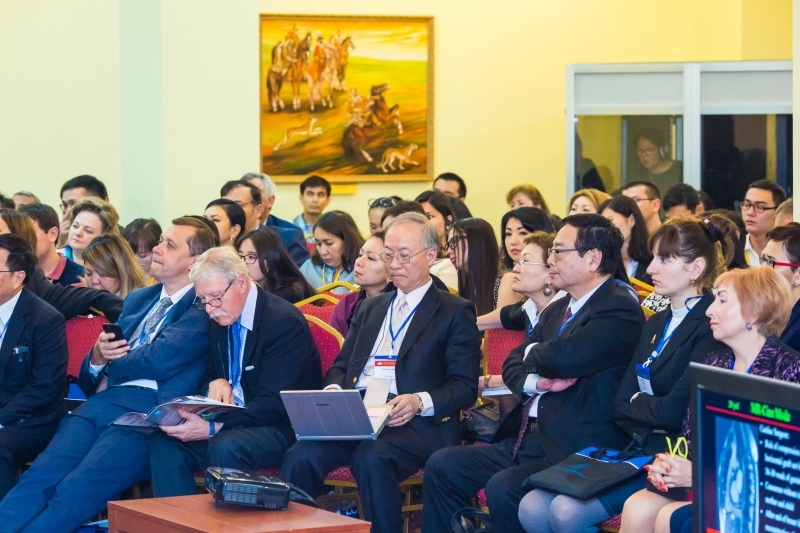 Also, the forum hosted a symposium of friendship between the Korean and Kazakh Radiological Society for cardiothoracic imaging during which Kazakh and Korean experts shared their invaluable experience. 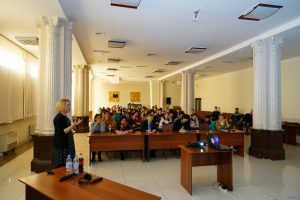 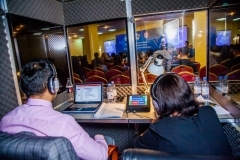 This time around the BG company acted as a provider of equipment rental services and conference services and simultaneous interpretation services. Our team provided everything necessary for the event, specifically the simultaneous interpretation equipment (interpreter’s desk, interpretation desk, interpreter booth, engineer), receivers, desk microphones, slide projector with screen, sound amplification (speakers), speaker’s stand. 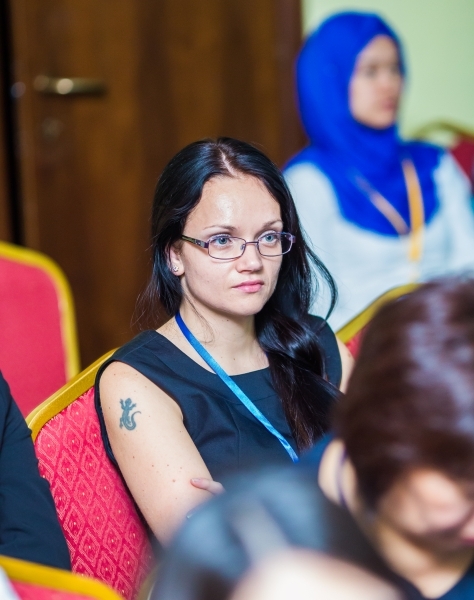 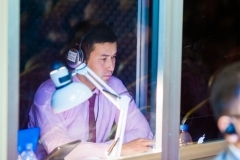 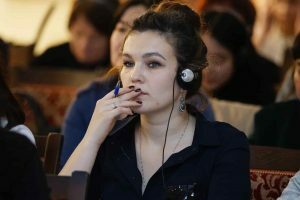 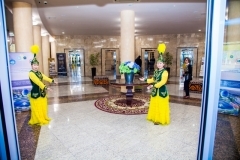 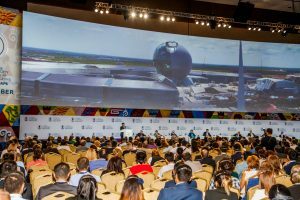 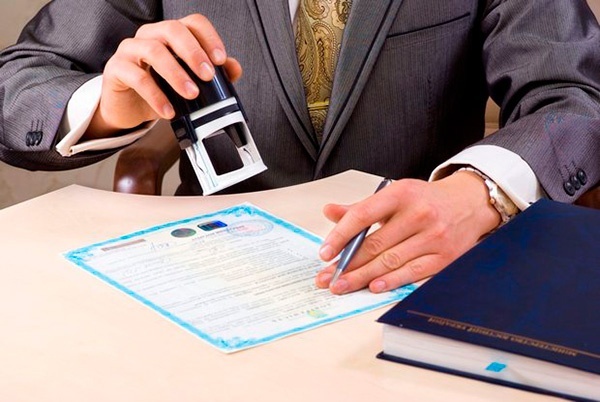 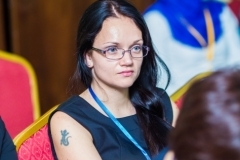 The BG company also provided spoken simultaneous interpreters in Astana in the English-Russian language pair. 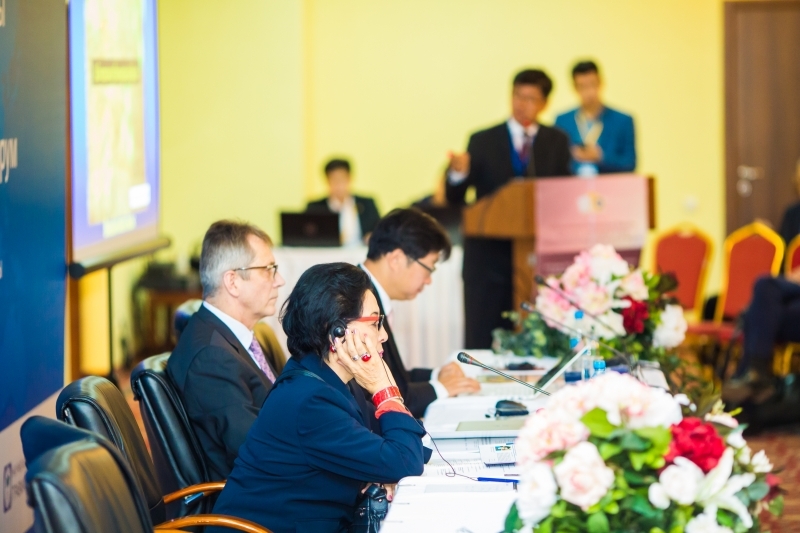 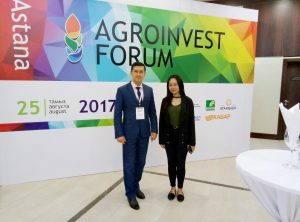 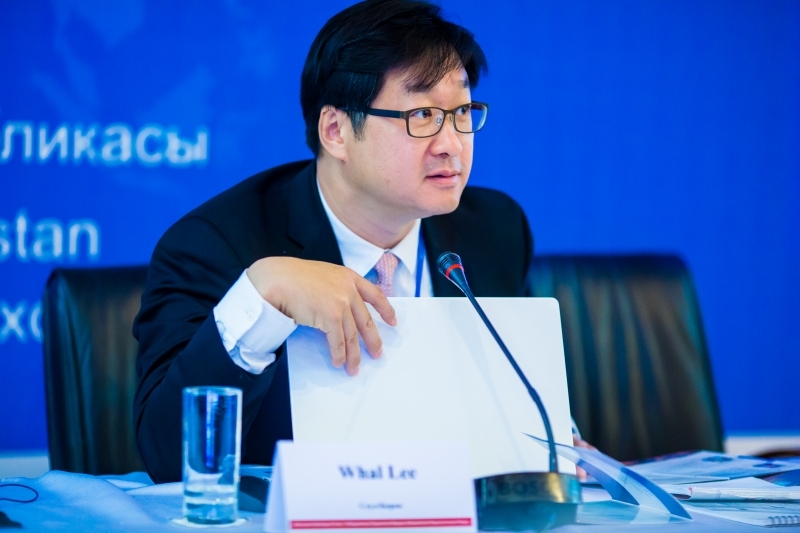 During the 2 days of the forum, about 44 speakers gave talk. 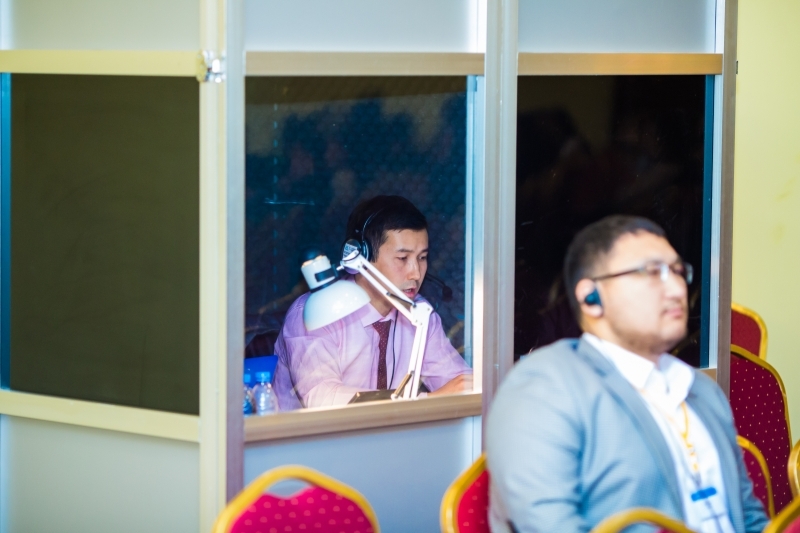 One can imagine what the pace of work was and at what speed the speakers had to talk to share their multiple years of experience within just 15 minutes. And this meant some strain on our medical translators. 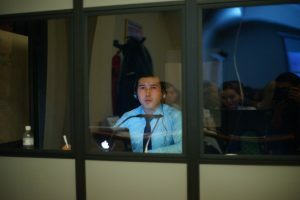 But it was all the same for our interpreters. 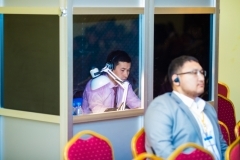 BG translators have seen much more. 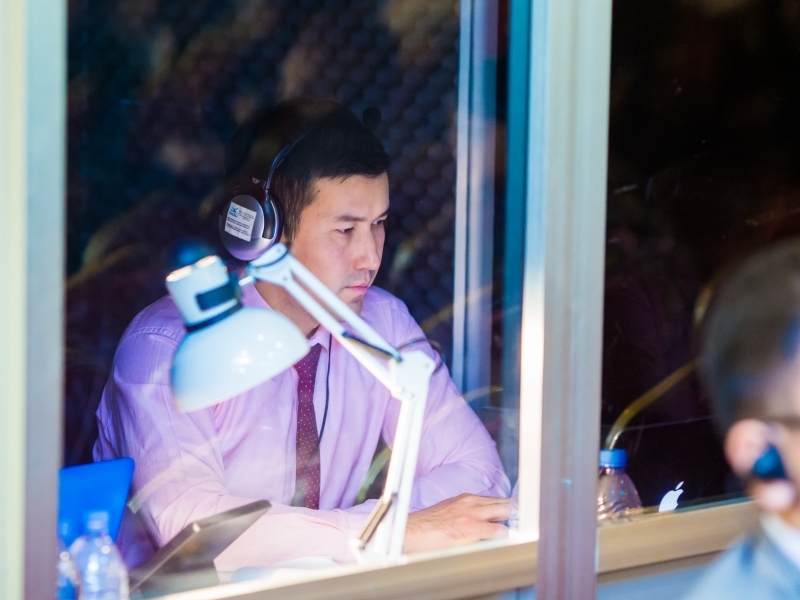 During the event, the simultaneous interpretation equipment worked smoothly and like clockwork. 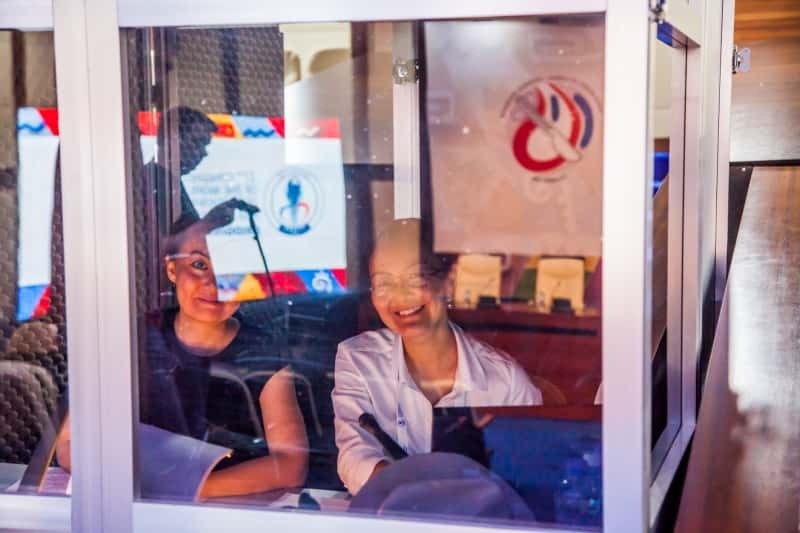 The peculiarity of the forum was that this time around the client requested to install euro-booth for the interpreters (a fully enclosed booth) and not a desk booth, as was the case at previous forums. 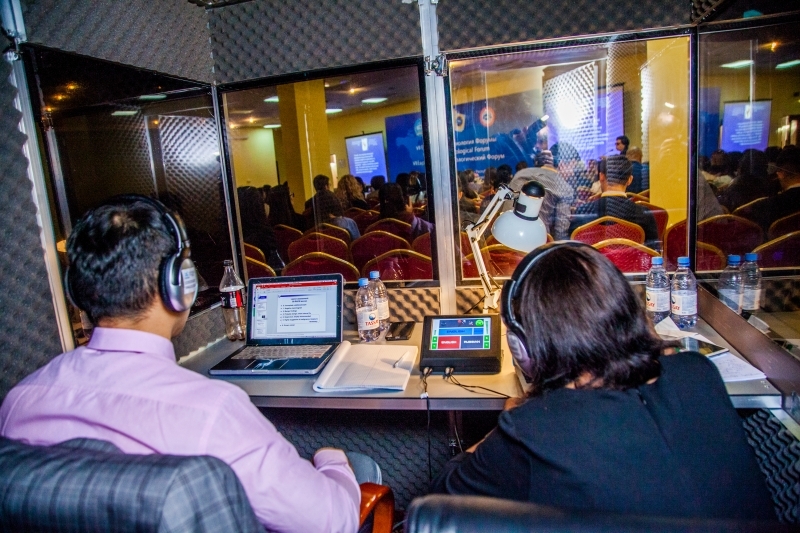 The interpreter’s booth provided complete sound and noise insulation for interpreters and the audience. 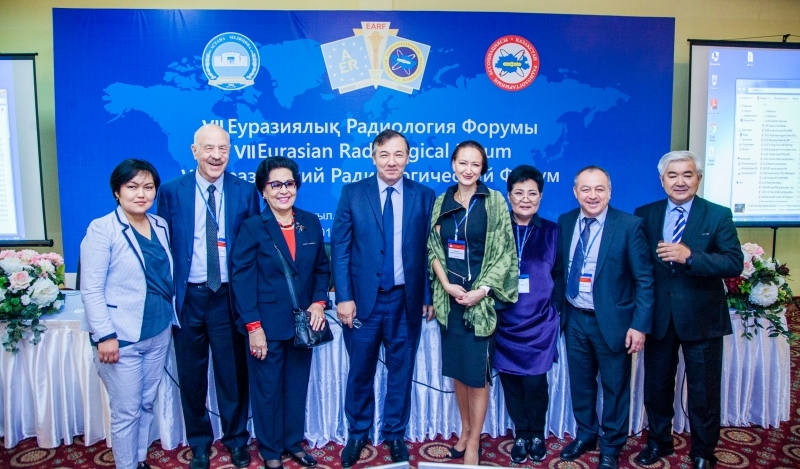 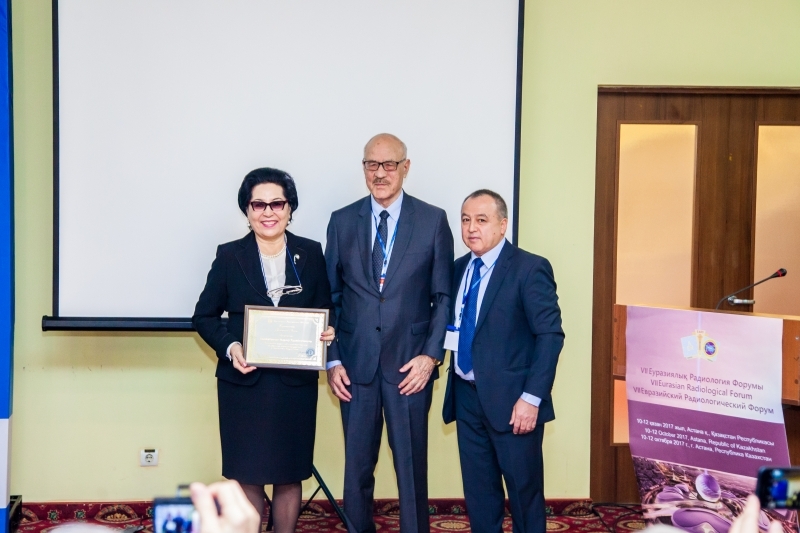 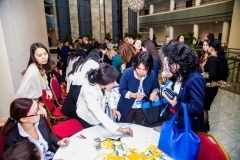 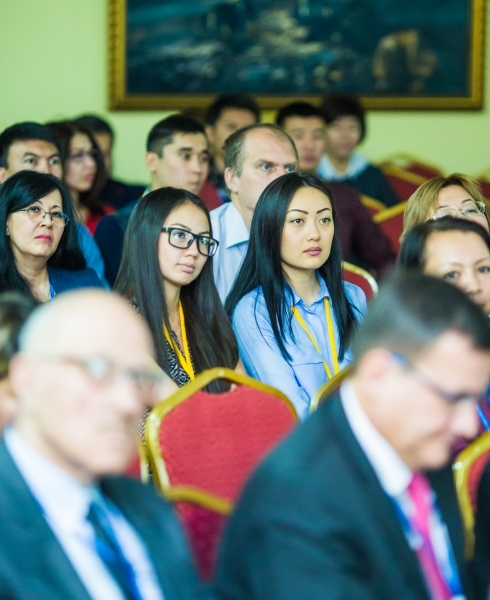 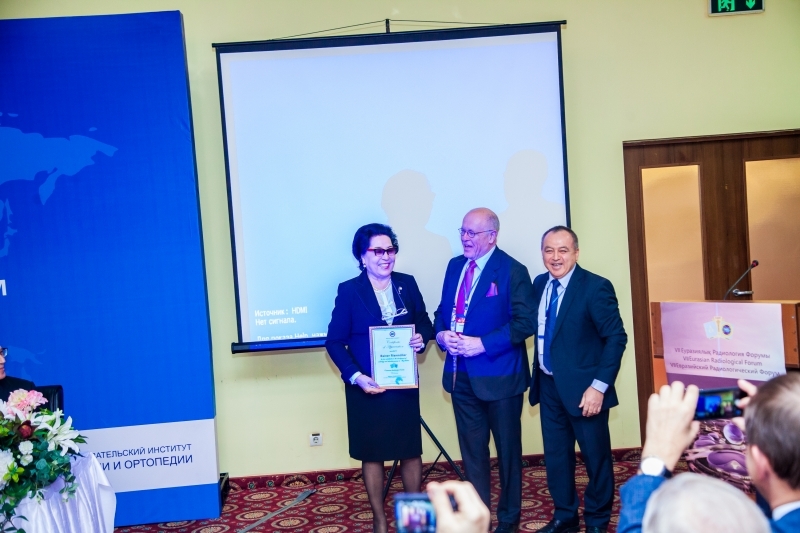 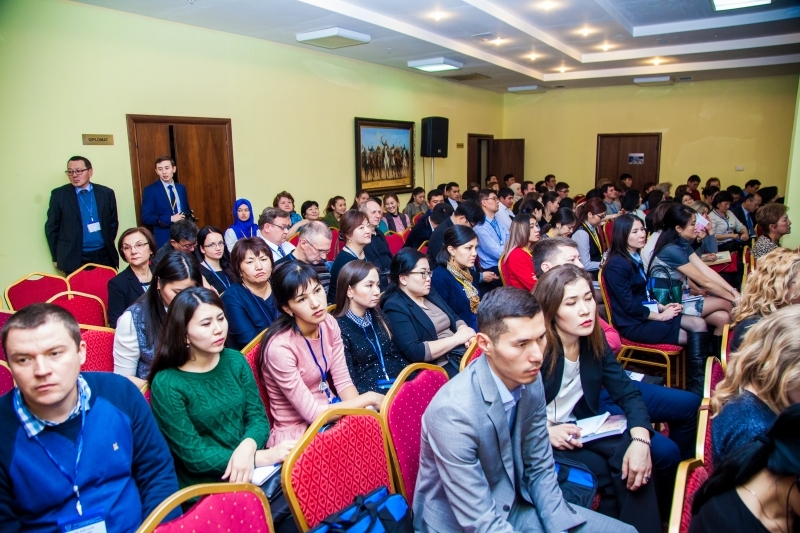 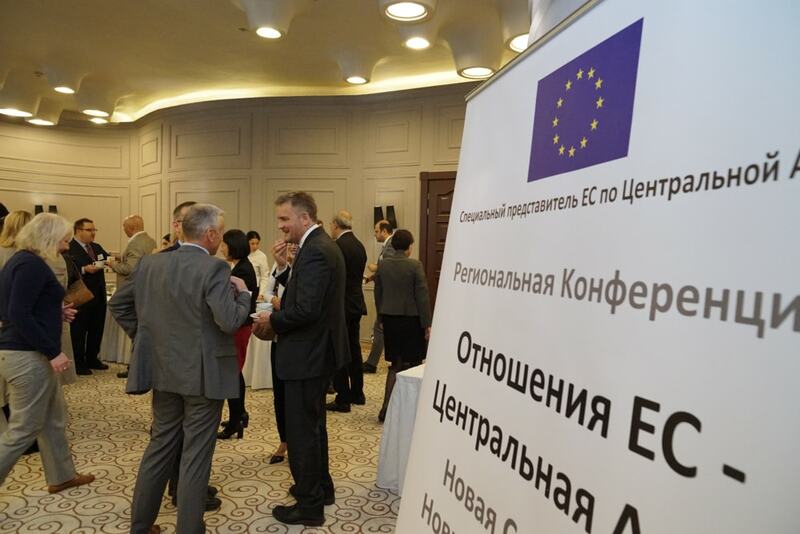 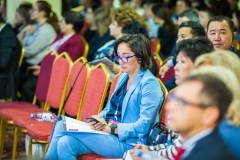 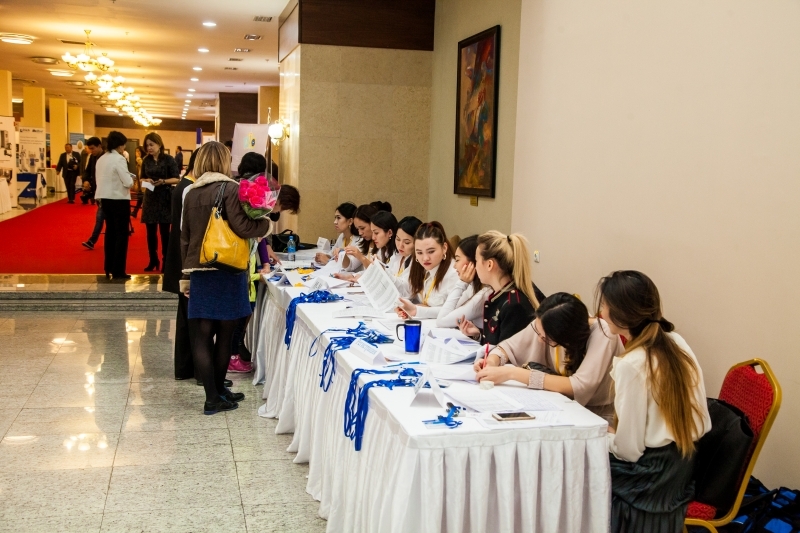 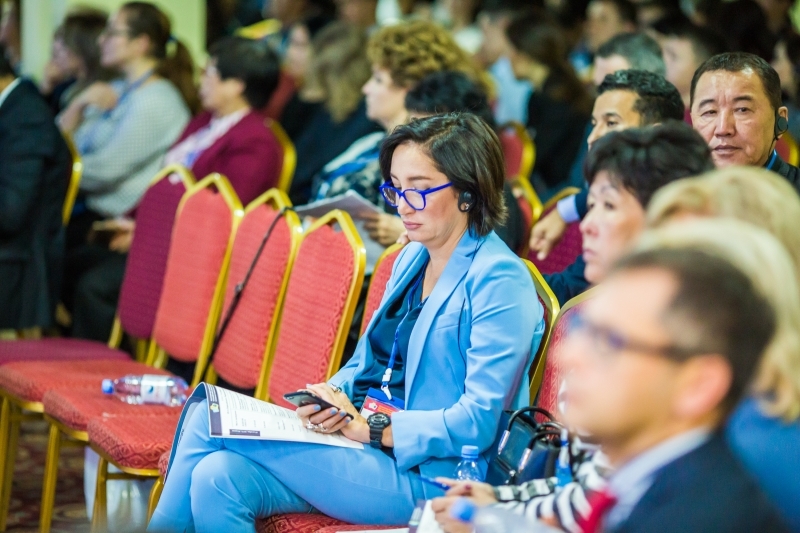 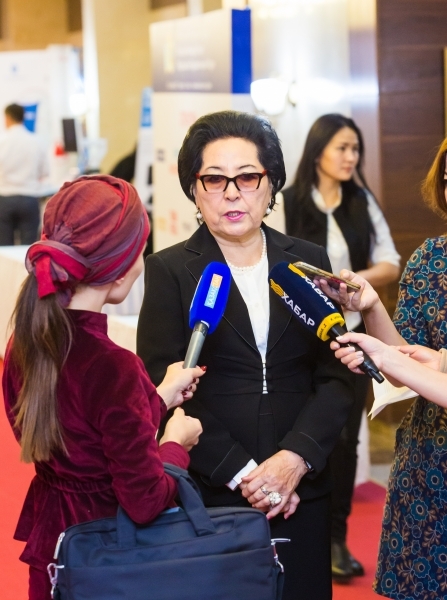 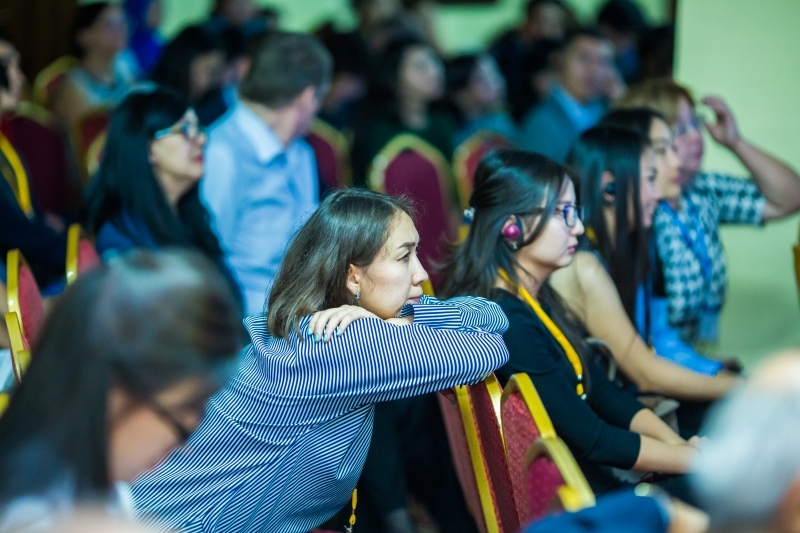 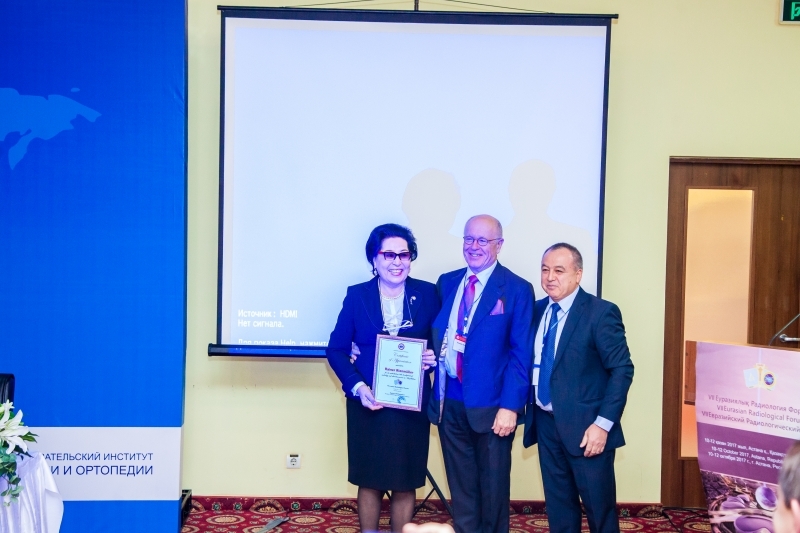 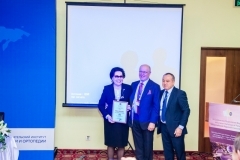 The BG team was pleased to act as a partner in holding such an important event in the professional life of Kazakhstani and foreign radiologists. 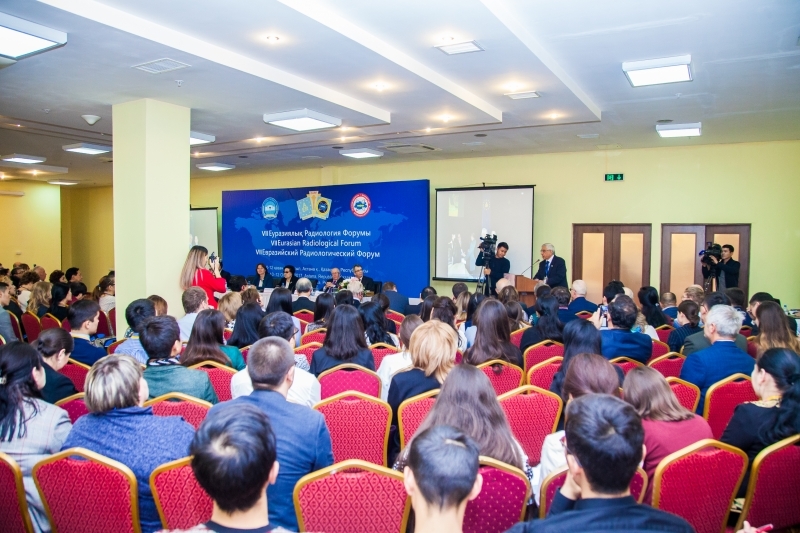 Number of participants: 300 people. 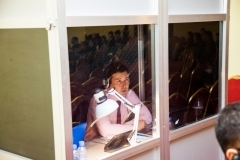 Number of simultaneous translators Astana: 2. 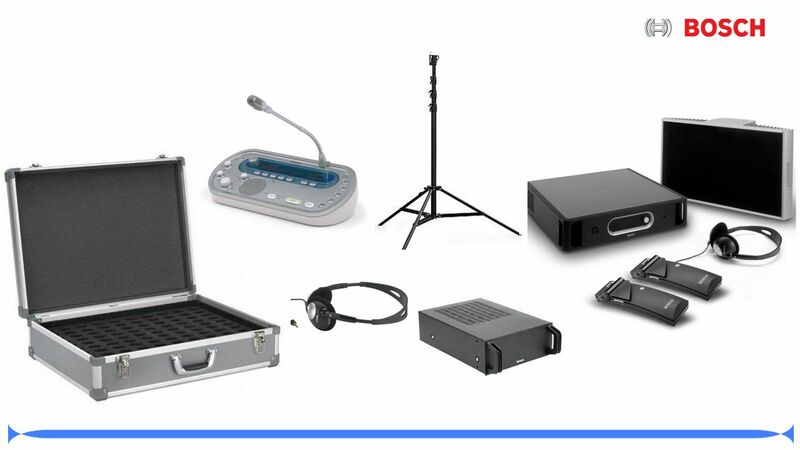 The equipment involved: simultaneous interpretation equipment (interpreter’s desk, interpretation desk, interpreter booth, engineer), receivers, desk microphones, slide projector with screen, sound amplification (speakers), speaker’s stand).